Dr. Davison has a variety of experience working in solo practise as well as in a multidisciplinary clinic. Dr. Davison uses a variety of techniques and treatment methods such as interferential current, spinal manipulation, Active Release Technique, heat/cold therapy, stretching exercises and ultrasound therapy to name a few. Tamara has been practicing physiotherapy for 18 years. She brings a wealth of experience in treating neuromusculoskeletal conditions to Cobourg Spine and Sports Injury Clinic. Tamara completed her first degree in Physiotherapy at The University of Western Ontario. Daykota Jarrett is a Registered Massage Therapist. She attended Trillium College in Peterborough from fall 2013 to the summer of 2015. Daykota excelled in the fast track program, condensing 3 years of school into just under 2 years. After passing her exams she received her registration in November 2015. 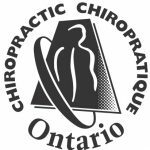 Brenda was raised in Cobourg and has an extensive background in the healthcare field with 24 years of chiropractic experience. She is passionate about the role chiropractic plays in achieving optimal health and wellness as a non-invasive and drug free approach. Brenda's ultimate goal is to ensure every patient is treated with kindness, respect, dignity and professionalism. Lynda was born and raised in Oshawa and most recently moved to Cobourg in 2014. She joined the CSSIC team in 2016 as an office assistant. Alongside Brenda at the front office Lynda helps make the day to day tasks run smooth and effortless. In her free time Lynda enjoys playing with her grandchildren, spending time at her summer trailer and golfing.